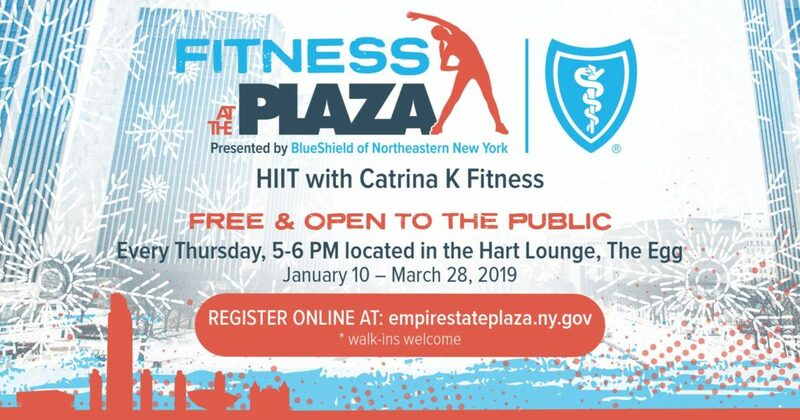 Free Fitness at the Plaza classes are being offered weekly by Blueshield of Northeastern NY! Classes take place at the Empire State Plaza in Albany on Thursdays from 5-6 PM. The winter series consists of 12 weeks of HIIT with Catrina K Fitness. Classes are FREE and open to all ages and fitness levels. This entry was posted in Events, Freebies and tagged class, free. Bookmark the permalink. ← Sleeping Beauty Ballet Coming to the Palace- Giveaway!